The food industry is a complex unit of regulations that require special care. There are many processes in place that are designed to protect consumers and businesses from health and safety issues. If you are outsourcing your food distribution, you’ll want to look for a food grade warehouse that not only complies with but exceeds the expectations. An ideal partner would understand the nuances that accompany the food industry and comply with industry standards. When working with a 3PL, there are certain aspects of their facility you’ll want to consider. Is the Facility Registered with the FDA? The mission of The Food and Drug Administration (FDA) is to protect the public health by establishing the safety of the nation’s food supply through strict efficacy and security standards. These preventive controls require food facilities to have plans in place specifying potential problems and an outline of how they will deal with these issues if they arise. Additionally, the FDA requires inspections every three years to ensure their strict measures are met. All facilities that handle food must register with the FDA, and the 3pl you are considering should be able to provide the documentation needed. Failure to adhere to their standards results in a shutdown. Can the Facility Manage Product Recall? In an ideal world, there wouldn’t be a need for a product recall, but companies experience this type of issue all too often. Without a proper system in place to manage the process, there can be severe repercussions. The best option for any food company is to work with a warehouse that already has a recall strategy in place. Companies should treat recalls as part of its ongoing planning process and consistently work to bring practical resolutions, so your business knows there will be minimal damage. Does the Facility Exceed Industry-Standards? Superior Operational and Personnel Practices – The processing and handling of raw materials need to be safe and effective. AIB introduces facilities to procedural guidelines so that the people and methods surrounding your food meets safety requirements. Up-to-Date Equipment – Another area AIB looks for is regular maintenance on equipment. To comply with their standards, warehouses must optimize the care of their facility. Cleaning and Pest Management – Providing a wholesome and safe processing environment is just the tip of the iceberg. AIB inspections ensure the facilities are applying measures to improve sanitation and prevent pest issues. Food Safety Programs – AIB checks the documentation to ensure all departments are working together to deliver the safest product possible. With over 40 years experience in the distribution of food and beverage, M&W are fully equipped and trained to handle your requirements. We comply with and exceed the expectations set forth by the FDA and AIB regulation standards. 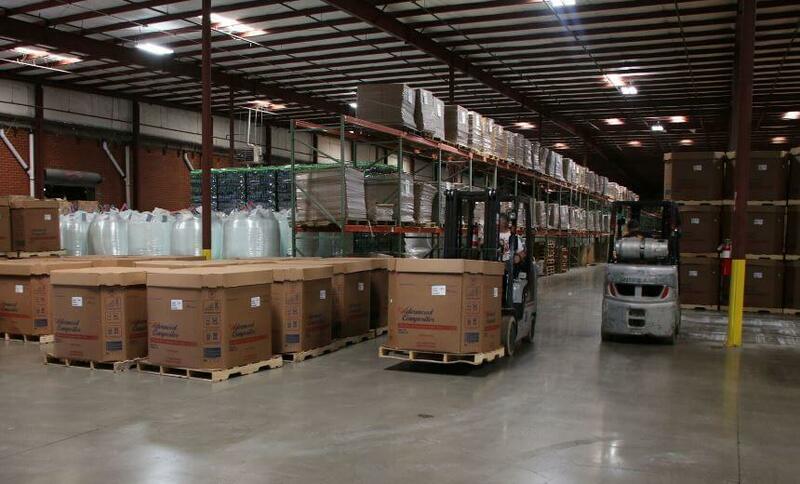 To learn more about our food grade warehouse, call us at (615) 256-5755.